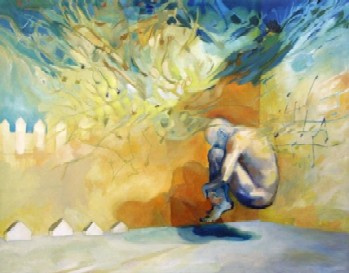 Neurotherapy for the treatment of depression at Edmonton Neurotherapy. (3) low mental and physical energy or fatigue. Other symptoms such as sleep and psychomotor disturbances, pessimism, guilty feelings, low self-esteem, suicidal tendencies, and food-intake and body weight dysregulation, are also frequently present but not essential to making the diagnosis. A key feature of depression is persistent negative emotions and thoughts. Depressed individuals show an enhanced attention to and memory for negative emotional stimuli and this attentional bias is strongly associated with symptom severity, regarded as a result of deficient cognitive control over the processing of emotionally relevant information, and an important therapeutic target in cognitive models of depression. The cuurent prevalence rate for mood disorders in Canada is nearly 10% and depression is the fourth leading cause of disability. The numbers of individuals of all ages with symptoms of mood disorder are increasing, and women are nearly 50% more likely to become depressed than men. Antidepressant medications have become the first line of treatment in Canada and are considered the current standard of care by most physicians, the healthcare system and insurance companies. It has been variously estimated that approximately 80-90% of patients with depression can be treated successfully, yet more than half of all depressed persons are undiagnosed, misdiagnosed, undertreated, or never treated. Moreover, as the number of people taking antidepressant medications has increased, so has the number who cannot tolerate the medications, have had poor to no response to these drugs, or have experienced severe medication side effects or adverse reactions. Since the mid-1980s considerable research has focused on the role of the frontal lobes and cortical asymmetry related to depression in brain functioning. Early brain mapping studies using Positron Emission Tomography (PET) to examine resting cerebral glucose metabolism and Functional Magnetic Resonance Imaging (fMRI) to examine regional cerebral blood flow in depressed versus normal individuals have generally found decreased activity in the prefrontal cortex (PFC) of those suffering from depression. This reduced metabolic activity is positively correlated with severity of depression and has been found to reverse with recovery from depression. The onset of major depression has also been associated with brain injuries that damage the frontal lobes, especially the left frontal pole. A more recent PET study of treatment-resistant patients with depression found, in addition to the usual decreased prefrontal metabolism, an increase of metabolic activity in the subgenual cingulate gyrus (a part of the limbic system). This is the same area that demonstrates increased blood flow in normal subjects when sadness is induced. This area of the brain also responds to treatment with antidepressant drugs. Consistently, after successful treatment with antidepressant medications, brain activity has been found to be increased in the dorsolateral prefrontal cortex and decreased in the amygdala and the anterior cingulate cortex. Numerous brain imaging studies over the last few decades have been broadly consistent in showing sadness and depressed mood to be associated with abnormal neuronal activation in the ventromedial prefrontal cortex (vmPFC) and dorsolateral prefrontal cortex (dlPFC), including the anterior cingulated gyrus (ACC) and orbito-frontal cortex (OFC). These areas in the cortex receive input through the anterior nucleus of the thalamus from the hippocampus (HC), amygdala (Am), and mammilary bodies of the hypothalamus (MB). Figure A. Areas of the brain involved in depression. Of particular relevance to depression are the ventromedial and dorsolateral prefrontal cortices. The ventromedial prefrontal cortex plays an important role in negative affect. Damage to this brain area results in a reduction of negative affect such as guilt, shame, embarrassment, and regret. Disturbances of the vmPFC are believed to lead to these depressive symptoms. The dorsolateral prefrontal cortex (dlPFC) is important for "cognitive" and "executive" functions such as working memory, intention formation, goal-directed action, abstract reasoning, and attentional control. It is also known that the dorsolateral prefrontal cortex (dlPFC) plays an important role in top-down regulation of emotional processing as part of the more extensive cognitive network that is also critically involved in emotion regulation, particularly by distraction from the emotional stimulus. This dlPFC is important for the reappraisal/suppression of negative affect and a defect in this regulation of negative affect due to a dysfunction of the dlPFC appears to play a very important role in clinical depression. Modification of a negative attentional bias by cognitive training alters dlPFC activity in response to emotional stimuli and this is likely the primary result of successful treatment by means of cognitive and cognitive-behavioral psychotherapies. AThe results of a recent study examining the effects of anodal transcranial direct current stimulation (tDCS) of the left dlPFC on temporary reduction of negative attentional bias during learning in depressed versus non-depressed college students supports the suggestion that tDCS may actually enhance the learning of cognitive-behavioural therapeutic strategies. TWhile there is some strong evidence suggesting that a reduction in dlPFC activity and/or over-activity of the vmPFC may play a major role in the development of depression brain imaging studies continue to reveal other areas of the brain that are also involved in depressed mood and suggest that depression is largely a result of reduced activation/metabolism in a number of brain areas and reports of increased activation of any particular brain area have not consistently been associated with depression. Anxiety, on the other hand, correlates with increased regional cerebral blood flow (rCBF) in posterior cingulate and bilateral inferior parietal lobules. Since comorbid depression and anxiety are quite common, it is important to recognize the different areas that are activated or inhibited by both depression and anxiety. Electroencephalographic (EEG) studies have largely confirmed these findings by demonstrating increased alpha (8-12 Hz) EEG relative power in the left frontal regions of the brains to be associated with dysthymia and major depressive disorder (MDD) as well as the onset of depression in patients with damage to the left frontal lobe. Since alpha is generally viewed as a cortical idling rhythm and is inversely related to neuronal activity, increased left frontal alpha results in deactivation of the left prefrontal cortex and a functional dominance of the right prefrontal cortex. Indeed, a number of brain researchers have suggested a laterality of the brain’s affective system; with negative emotions having a bias in activating the right hemisphere and positive emotions activating the left hemisphere. The left frontal lobes may be considered to include an “approach behavior” circuit whereas the right frontal lobes may include an “avoidance-behavior” circuit. As the left becomes more active, we tend to see things as generally more interesting, more rewarding, more approachable (i.e., the cup as half-full). In contrast, activation of the right circuit causes us to see things as potentially more dangerous and less rewarding (i.e., the cup as half-empty). Brain research suggests that a person's mood may largely depend on which side of the prefrontal cortex is more active. In this vein, Henriques & Davidson (1990, 1991) examined frontal EEG asymmetry in currently depressed versus never depressed individuals and found elevated left frontal alpha power in the depressed individuals. Other researchers have confirmed these findings as well as observing that individual differences in frontal asymmetry emerge early in life and are associated with individual differences in “approach-withdrawal” behavior and the “introversion-extroversion” personality dimension. Taken together, these findings suggest that EEG asymmetry marked by relative left frontal hypoactivation may be a biological marker of familial and, possibly genetic risk for mood disorders. Figure B. Nx-Link QEEG brain maps of an elderly male suffering from severe depression. Note the excessive relative power in alpha band in the left temporo-frontal region. Neurological patterns found associated with depression are asymmetry of frontal lobe activity, deficiency of slow-wave (theta) activity or excessive fast wave (beta) activity in the occipital or posterior region of the brain, as well as deficiency in 13-15 Hz activity over the sensorimotor cortex. Figure C. LORETA image showing the source distribution of low Alpha (8-10 Hz) recorded from the scalp in an individual diagnosed with major depression. Note that the bottom row of brain images follow the "medical-neurology" convention of showing the images as if they were film negatives with the right and left sides reversed. This is a confusing but common practice in representing images from CAT and MRI scans. These findings with respect to depression are quite consistent with the more general notion that abnormal activity in the EEG reflects psychopathology and, conversely, normalizing the EEG can improve brain function and reduce psychopathology. While there are as yet only a few published randomized controlled trials (RCTs) of EEG neurofeedback or any of the other neurotherapies offered by Edmonton Neurotherapy to treat depression, a large number of published clinical and case studies as well as the reported clinical experience of hundreds of neurotherapy practitioners around the world all point to EEG and HEG neurofeedback and such neurotherapies as audio-visual entrainment (AVE), cranial electrostimulation therapy (CES), and transcranial direct current stimulation (tDCS) as promising adjunctive therapies to more conventional pharmaceutical and psychotherapeutic treatment as well as possible alternatives to more invasive electroconvulsive and expensive magnetic stimulation therapies in the treatment of major depression. 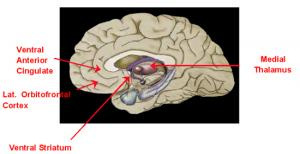 Based on the common finding of reduced activation of the left prefrontal cortex as being associated with depressed mood and the indication from neurobiological studies of depression that left frontal activation is important to being happy, most neurotherapy treatment protocols focus on increasing brain activation in the left frontal/prefrontal region. There is also some research pointing to over-activation of the right prefrontal cortex being associated with anxiety. EEG neurofeedback protocols commonly focus on downtraining slow wave (2-7 Hz) and/or alpha (8-12 Hz) EEG and uptraining faster 15-20 Hz activity from left frontal/prefrontal locations. Similarly, hemoencephalographic (HEG) neurofeedback focuses on increasing perfusion of oxygenated blood within the left prefrontal cortex and transcranial DC stimulation (tDCS) therapy focuses on modifying the electrical potential in the left frontal cortex to increase the ease with which these neurons are activated. Together, these three modalities appear to actively support each other and, in our experience, speed up the process of recovery from depression and reduce the possibility of future relapse. This is especially true when these neurotherapies are combined with Cognitive-Behavioral Therapy (CBT), a type of goal-oriented psychological "talk" therapy that teaches individuals to solve problems related to the interactions between how they think, feel, and behave. CBT helps individuals recognize and change dysfunctional patterns of thinking and behaving that increase and help maintain negative mood. CBT is a good partner with neurotherapies in the treatment of depression because it encourages the patient to engage the frontal lobe "executive functions" of the brain to more consciously and actively regulate cognitions and behaviors. In some cases of depression, especially when there is a significant anxiety component present, other forms of neurotherapy, such as audio-visual entrainment (AVE) or cranial electrotherapy stimulation (CES), and peripheral biofeedback, such as heart rate variability (HRV) training, may be valuable adjunctive therapies to help the individual better manage his/her day to day stresses, generalized feelings of anxiety, and help induce relaxation and improve sleep. Edmonton Neurotherapy can offer a multi-modality approach to treating clinical depression that is both effective and comprehensive. Transcranial direct current stimulation (tDCS) is a very safe way of non-invasively stimulating the brain using a very small amount of electricity. While psychiatrists do not see tDCS replacing electroconvulsive therapy (ECT) -- still considered to be the most effective approach to treatment-resistant major depression that requires urgent attention -- tDCS may become a well-accepted alternative or adjunctive treatment to antidepressant medications in individuals suffering from more mild to moderate depression or a chronic mood disorder. tDCS is actually very different from electroconvulsive therapy (ECT), which is the currently medically-accepted electrotherapy for depression. ECT requires a person to have anaesthesia and gives the brain a full one ampere jolt that causes a seizure. ECT causes massive changes in brain functioning and can be effective for many brain disorders such as depression and schizophrenia that fail to respond to other treatments but it also can cause temporary memory loss sometimes lasting more than 6 months and may in some cases alter personality. Transcranial direct current stimulation, on the other hand, is a much more selective and benign treatment that is quite inexpensive and does not really require direct medical supervision. Instead of as much as 1 ampere of electricity, tDCS uses 1-2 milliamperes of current (400-600 times less than ECT). tDCS can be performed on a person when they are fully awake and conscious and the person can engage in discussion and cognitive tasks during treatment. The only noticable effect during actual treatment is a transient mild scalp irritation (itchy/tingly feeling) that occurs when the electricity is first turned on but usually fades away after about 30 seconds or so. tDCS has not been found to cause seizures, memory loss, or personality change. As a matter of fact, tDCS has been shown in some research studies to temporarily enhance working memory and learning. For tDCS, the therapist places two saline-soaked sponge electrodes on specific areas of your head. These sponge electrodes are connected to the anode and cathode parts of a nine volt battery through a device that includes electronic circuits that automatically control and limit current flows to safe levels. The sponge electrode that is connected to the anode increases brain activity underneath it, while the sponge electrode attached to the cathode tends to decrease brain activity. So neurotherapy practitioners are able to selectively increase or decrease brain activity in cortical brain regions that are near to the electrodes. Major Depression Disorder (MDD) is a complicated disorder with as yet incompletely understood pathophysiology and etiology. However, brain imaging studies have pointed to a pathological abnormality and imbalance in the activity of the left and right prefrontal cortices; with the left dorsolateral prefrontal cortex (LDLPFC) most often hypoactive and the right dorsolateralateral prefrontal cortex (RDLPFC) either normally active or hyperactive. These are reflections of a dysfunction in a distributed cortico-subcortical, bihemispheric network. Therefore it is reasonable to hypothesize that altering this pathological state with techniques of brain stimulation may offer a therapeutic target. Besides repetitive transcranial magnetic stimulation (rTMS), tonic stimulation with weak direct currents (tDCS) modulates cortical excitability for hours after the end of stimulation, thus, it is a promising non-invasive therapeutic option. tDCS appears to produce electrode-dependent changes in regional brain activity by ameliorating the pathological imbalance between the two hemispheres of the dorssolateral prefrontal cortex by enhacing the excitability of the lfet and reducing the activity of the right. By applying anodal tDCS over the left dorsolateral prefrontal cortex to augment neuronal activity and cathodal tDCs over the right prefrontal cortex to reduce activity, the pathological imbalance may be reduced to resolve the depression. Early studies from the 1960s suggested some efficacy of DC stimulation to reduce symptoms in depression, but mixed results and development of psychotropic drugs resulted in an early abandonment of this technique. However, beginning in the 1980s, research into the use of brain stimulation therapies for depression grew exponentially and renewed interest in tDCS as a treatment for depression has led to multiple studies examining the efficacy of this technology. In the last few years tDCS protocols have been optimized and application of the newly developed stimulation protocols in patients with major depression has shown promise in few pilot studies. Transcranial direct current stimulation is attracting widespread attention as a promising new treatment for Major Depressive Disorder on the basis of its low cost, good safety profile, and promising reports of clinical efficacy. Several open-label studies and randomized placebo-controlled trials have been conducted to examine the efficacy of tDCS in treating depression. Most of these studies demonstrate that active tDCs is effective in significantly reducing depressive symptoms in persons diagnosed with mild to moderate major depression as well as some patients with bipolar depression. The efficacy of tDCS alone has been shown to be similar to that of moderate doses of first-line antidepressant medications and there is evidence that adding tDCS to standard pharmacological treatment of depression can enhance treatment outcomes even in those patients who have demonstrated resistance to treatment with medications alone. Fregni, et al. (2006) reports on a randomized, sham-controlled, clinical trial of tDCS in the treatment of 10 patients diagnosed with major depression. Level of depression was evaluated before and after treatment by means of the Hamilton Depression Rating Scale (HDRS) and Beck Depression Inventory (BDI). Patients were randomly assigned to one of two groups, an active treatment group that received 1.0 mA anodal (+) DC stimulation over the left dorsolateral prefrontal cortex (DLPFC) and cathodal (-) stimulation over the contralateral supraorbital area (just above right eyebrow) versus a sham treatment group that received the identical treatment but with the tDCS device turned off. Both groups received 20 minutes of actual or sham stimulation once a day for five consecutive days. All patients remained blind to treatment conditions and the treatment was well-tolerated with no significant adverse effects. Four of the five patients in the active treatment group were treatment responders whereas none of the five patients receiving sham were treatment responders. The active treatment group showed a significantly greater reduction in depression scores on the post-treatment HDRS and BDI as compared to the sham treatment group (70% vs 30% respectively). Boggio, et al. (2008) followed up and expanded on Fregni’s earlier small clinical trial by examining the effects of 2.0 mA tDCS treatment on major depression with a larger group of 40 unmedicated patients. In this study, the patients were randomly assigned to one of three groups in a 2:1:1 ratio: active treatment (n = 21), active control (n = 9), and sham treatment (n = 10). As with Fregni’s study, all patients were evaluated pre- and post-treatment using the HDRS and BDI depression scales but this time the scales were administered at the beginning of treatment (baseline), immediately after treatment, and again at 15 and 30 days post-treatment. All patients received ten 20-minute treatment sessions over a period of two weeks. The active treatment group was treated with anodal (+) tDCS over the left DLPFC. The active control group was treated with anodal (+) tDCS over the occipital cortex. The sham group was treated exactly as the active group but with the electricity turned off. In all cases, the cathode (-) was placed over the right eyebrow. Treatment response was defined as a 50% or greater reduction in HDRS scores from baseline. Remission was defined as HDRS scores below 7. On average, the active treatment group obtained a 40% reduction in HDRS scores with treatment as compared to 21% and 10% for the active control and sham groups respectively. The results of this study demonstrated that ten brief sessions (10 x 20 minutes) of cortical stimulation with tDCS is associated with clinically significant reductions in depression scores on clinical symptom rating scales that is specific to the site of stimulation and lasts for at least 30 days post-treatment. Moreover, 10 days of tDCS treatment resulted in only minimal and temporary adverse effects in less than 15% of the patients that did not carry on beyond the end of treatment. A report by Brunoni, et al. (2011) on the treatment of 31 unipolar and bipolar depressed patients concluded that after the fifth tDCS session, depressive symptoms in both groups diminished, and the beneficial effects of tDCS treatment were still evident at one-month post-treatment follow-up. More recently Loo, et al. (2012) published a study of tDCS treatment of 64 clinically depressed patients who had previously failed to respond to conventional pharmacological treatment. The study participants were randomly assigned to receive active or sham anodal tDCS to the left prefrontal cortex (2 mA, 15 sessions over 3 weeks), followed by a 3-week open-label treatment phase in which all participants received active anodal tDCS of the left prefrontal cortex (2 mA, 15 sessions). Mood and neuropsychological effects were assessed. They concluded that there was a significantly greater improvement in mood after active rather than sham tDCS. Thirty sessions of anodal tDCS over the left prefrontal cortex reduced depressive symptoms an average of 43%; with nearly half of the treated patients were classified as "responsive to treatment" by the end of the 6-weeks of treatment. A factorial, randomized, controlled study (Brunoni, et al., 2013) assessing the combined safety and efficacy of tDCS versus a commonly prescribed antidepressant medication (sertraline hydrocloride, 50 mg/d) in 120 initially unmedicated patients with moderate to severe, nonpsychotic, unipolar major depressive disorder (MDD) concluded that the use of tDCS only (but not sertraline only) was superior to to placebo/sham tDCS but the combination of tDCS and sertraline increased the efficacy of each treatment. The efficacy and safety of of tDCS and sertraline did not differ significantly. A recently published analysis of pooled data from 141 depressed patients (57 male; 84 female) treated by the Italian tDCS Collaborative Group (see d'Urso, dell'Osso, Ferrucci, et al. 2013) with 10 bi-frontal applications of anodal tDCS over the left dorsolateral prefrontal cortex (with cathode over the right DLPFC) "confirms the efficacy of bi-frontal tDCS for the treatment of major depression." Finally, with regard to the question of whether continuation of tDCS treatments can prevent relapse in major depression... an analysis (Martin, et al., 2013) of long-term follow-up data on 26 patients pooled from two different studies who received continuation tDCS treatment on a weekly basis for 3 months and then on a once every second week basis for a final 3 months, concluded that the cumulative probability of surviving without a relapse of depression was 84% at 3 months and 51% at 6 months.The findings from this study suggests that once patients show an acceptable response to consecutive daily tDCS treatments, ongoing once a week treatments may effectively prevent relapse. A research study by Larissa Wolkenstein (2013) at the University of Tubingen in Germany showed that persons suffering from clinical depression show a highly significant attentional bias toward negative emotional stimuli as compared to non-depressed controls and that the application of anodal tDCS over the left dorsolateral prefrontal cortex (DLPFC) for as little as 30-minutes temporarily improved working memory and shifted attentional bias away from negative emotions. This study provides the first evidence that anodal tDCS applied to the left DLPFC ameliorates deficient cognitive control specifically present in persons diagnosed with major depression and, since deficient cognitive control has been consistently linked with the onset and maintenance of depression, its recovery during anodal tDCS supports the idea that non-invasive brain stimulation may be an effective tool to directly enhance the clinical outcome of cognitive behavioral psychotherapies. Alonzo, A., Brassil, J., Taylor, J., et al. (2011). Daily tDCS leads to greater increases in cortical excitability than second daily tDCS. Brain Stimulation, May 2011. Arul-Anandam, A., Loo, C. (2009). Transcranial direct current stimulation: A new tool for the treatment of depression? Journal of Affective Disorders, 117(3): 137-145. Baehr, E., Rosenfeld, P., Baehr, R. (2001). Clinical use of alpha asymmetry neurofeedback protocol in the treatment of mood disorders: Follow-up study one to five years post therapy. Journal of Neurotherapy, 4(4): 11-18. Baehr, E., Rosenfeld, J., Baehr, R., & Earnest, C. (1998). Comparison of two EEG asymmetry indices in depressed patients vs. normal controls. International Journal of Psychophysiology, 31: 89-92. Baehr, E., Rosenfeld, J., Baehr, R., & Earnest, C. (1999). Clinical use of an alpha asymmetry neurofeedback protocol in the treatment of mood disorders. In J. Evans & A. Abarbanel (Eds). Introduction to Quantitative EEG and Neurofeedback. (pp. 181-203). New York, NY: Academic Press. Berlim, M., Van den Eynde, F., Daskalakis, ZI, et al. (2013). Clinical utility of transcranial direct current stimulation (tDCS) for treating major depressive disorder: A systematic review and meta-analysis of randomized, double-blind, and sham controlled trials. Journal of Psychiatric Research, 47(1): 1-7. Biksom, M., Bulow, P., Stiller, J., et al. (2008). tDCS for major depression: A general system for quantifying transcranial electrotherapy dosage. Current Options in Neurology, 10: 377-385. Boggio, P., Nitsche, M., Pascual-Leone, A. (2005). Correspondance: Transcranial direct current stimulation. Briish Journal of Psychiatry, 186: 446-447. Boggio, P., Rigonatti, S., Ribeiro, R., Myczkowski, M., Nitsche, M., Pascual-Leone, A., Fregni, F. (2008). A randomized, double-blind clinical trial on the efficacy of cortical direct current stimulation for the treatment of major depression. 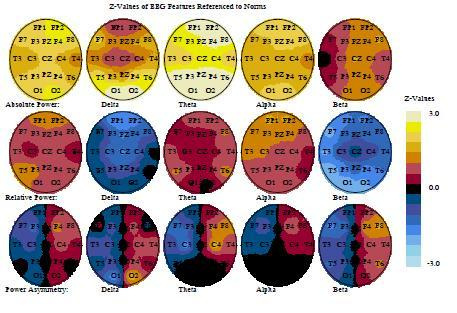 International Journal of Neuropsychopharmacology, 11(2): 249-254. Brunoni, A., Ferrucci, R., Bortolomasi, M., et al. (2011). Transcranial direct current stimulation (tDCS) in unipolar vs. bipolar depressive disorder. Progress in Neuropsychopharmacology & Biological Psychiatry, 35: 96-101. Brunoni, A., Ferrucci, R., Fregni, F., et al. (2012). Transcranial direct current stimulation for the treatment of major depressive disorder: Summary of preclinical, clinical and translational findings. Progress in Neuropsychopharmacology & Biological Psychiatry, 39: 9-16. Brunoni, A., Valiengo, L., Baccaro, A., et al. (2013). Sertraline versus electrical current therapy for treating depression in clinical study: Results from a factorial, randomized, controlled trial. JAMA Psychiatry, 70(4): 383-391. Cantor, D., Stevens, E. (2009). QEEG correlates of auditory-visual entrainment treatment efficacy of refractory depression. Journal of Neurotherapy, 13(2): 100-108. Dell'Osso, B., Catellano, F., Benatti, B. et al. (2012). Clinical use of tDCS in depressive disorders: The state of the art. Journal of Psychopathology. Dell'Osso, B., Priori, A., Carlo Altamura, A. (2011). Efficacy and safety of tDCS in major depression. Biological Psychiatry, 69: e23-e24. Dell'Osso, B., Zanoni, S., Ferrucci, R. et al. (2011). Transcranial direct current stimulation for outpatient treatment of poor-responder depressed patients. European Journal of Psychiatry, July 2011.
d'Urso, G., Dell'Osso, B., Ferrucci, R., et al. (2013). Transcranial direct current stimulation (tDCS) for the treatment of major depression:A pooled analysis from the Italian collaborative group. Clinical Neurophysiology, 124(10):e185. Fregni, F., Boggio, P. Nitsche, M., Marcolin, M., Rigonatti, S., Pascual-Leone, A. (2006). Treatment of major depression with transcranial direct current stimulation. Bipolar Disorders, 8(2): 203-205. Fitzgerald, P. (2011). Transcranial direct current stimulation in the treatment of depression. Medicographia, 33(2): 202-208. Fregni, F., Pascual-Leone, A., et al. (2007). Technology Insisight: Non-invasive brain stimulation in neurology - Perspectives on the therapeutic potential of rTMS and tDCS. Clinical Practice in Neurology, 3(7):383. George, M., Padberg, F., Schlaepfer, T., et al. (2009). Controversy: Repetitive transcranial magnetic stimulation or transcranial direct current stimulation shows efficacy in treating psychiatric diseases (depression, mania, schizophrenia, obsessive-compulsive disorder, panic, posttraumatic stress disorder). Brain Stimulation, 2: 14-21. Hagemann, D., Hewig, J., Naumann, E., Seifert, J., Bartussek, D. (2005). Resting brain asymmetry and affective reactivity: Aggregated data support the right-hemisphere hypothesis. Journal of Individual Differences, 26, 139-154. Iyer, M., Mattu, U., Grafman, J., et al. (2005). Safety and cognitive effects of frontal DC polarization in healthy individuals. Neurology, 64(5): 872-875. Kalu, U., Sexton, C., Loo, CK, et al. (2012). Transcranial direct current stimulation in the treatment of major depressive disorder: A meta-analysis. Psychological Medicine, 42(9): 1791-1800. Knotkova, H., Rosedale, M., Strauss, S., et al. (2012). Using tDCS to treat depression in HIV-infected persons: The outcomes of a feasibility study. Frontiers in Psychiatry, June 2012, Volume 3, Article 59. Koenigs, M., Grafman, J. (2009). The functional neuroanatomy of depression: Distinct roles for ventromedial and dosolateral prefrontal cortex. Behavioral Brain Research, 201: 239-243. Loo, C., Alonzo, A., Martin, D. et al. (2012). Transcranial direct current stimulation for depression: A three-six week, randomized, sham-controlled trial. British Journal of Psychiatry, 200 (1): 52-59. Loo, C., Sachdev, P., Martin, D., et al. (2011). A double-blind, sham-controlled trial of tDCS for the treatment of depression. International Journal of Neuropsychopharmacology, 13: 61-69. Martin, D., Alonzo, A., Ho, K., et al. (2013). Continuation of transcranial direct current stimulation for the prevention of relapse of major depression disorder. Journal of Affective Disorders, 144(3): 274-278. Martin, D., Alonzo, A., Mitchell, P., et al. (2011). Fronto-extracephalic transcranial direct current stimulation as treatment for major depression: An open-label pilot study. Journal of Affective Disorders, August 2011. Moreines, J., McClintock, S., Holtzheimer, P. (2011). Neuropsychological effects of neuromodulation techniques for treatment-resistant depression: A review. Brain Stimulation, 4: 17-27. Nitsche, M. (2002). Transcranial direct current stimulation: A new treatment for depression? Bipolar Disorders, 4(Suppl. 1): 98-99. Nitsche, M., Boggio, P., Rigonatti, S., Pascual-Leone, A. (2009). Treatment of depression with transcranial DC stimulation (tDCS). Experimental Neurology, 219(1): 14-19. Pena-Gomez, C., Vidal-Pineiro, D., Clemente, I., et al. (2011). Down-regulation of negative emotional processing by tDCS: Effects of personality characteristics. PLoS ONE, 6(7): e22812. Rigonatti, S., Boggio, P., Myczkowski, M., et al. (2008). Letters to the Editor: Transcranial direct stimulation and fluoxetine for treatment of depression. European Psychiatry, 23: 74-76. Shiozawa, P., Fregni, F., Bensenor, I., et al. (2014). Transcranial direct current stimulation for major depression: An updated systematic review and meta-analysis. International Journal of Neuropsychopharmacology, 17(9): 1443-1452. Walker, J., Lawson, R., Kozlowski, G. (2007). Current status of QEEG and neurofeedback in the treatment of clinical depression. In: J.R. Evans (Ed. ), Handbook of Neurofeedback: Dynamics and Clinical Applications. (chapter 14, pp.341-352). New York, NY: Haworth Medical Press. Wolkenstein, L., Plewnia, C. (2013). Amelioration of cognitive control in depression by transcranial direct current stimulation. Biological Psychiatry, 73: 646-651. Transcranial direct current stimulation for depression: 3-week, randomised, sham-controlled trial. Loo, C., Alonzo, A., Martin, D., Mitchell, P., Galvez, V., Sachdev, P.
SOURCE:British Journal of Psychiatry, 2012, 200(1):52-59. To further investigate the efficacy of tDCS in a double-blind, sham-controlled trial (registered at www.clinicaltrials.gov: NCT00763230). 64 participants with current depressionreceived active or sham anodal tDCS to the left prefrontal cortex (2 mA, 15 sessions over 3 weeks), followed by a 3-week open-label active treatment phase. Mood and neuropsychological effects were assessed. There was significantly greater improvement in mood after active than after sham treatment (P<0.05), although no difference in responder rates (13% in both groups).Attention and working memory improved after a single session of active but not sham tDCS (P<0.05). There was no decline in neuropsychological functioning after 3-6 weeks of active stimulation. One participant with bipolar disorder became hypomanic after active tDCS. Findings confirm earlier reports of the antidepressant efficacy and safety of tDCS. Vigilance for mood switching is advised when administering tDCS to individuals with bipolar disorder. Randomized, double-blind, sham-controlled,parallel design enrolling 24 age-, gender-matched, drug-free, depressed subjects. Anode and cathode were placed over the left and right dorsolateral prefrontal cortex. Active but not sham tDCS significantly modified the negative attentional bias. These findings add evidence that a single tDCS session transiently induces potent changes in affective processing, which might be one of the mechanisms of tDCS underlying mood changes. The Sertraline vs Electrical Current Therapy for Treating Depression Clinical Study. Results From a Factorial, Randomized, Controlled Trial. The goal was to assess the combined safety and efficacy of tDCS vs a common pharmacological treatment (sertraline hydrochloride, 50 mg/d). 120 antidepressant-free patients with moderate to severe, nonpsychotic, unipolar major depressive disorder (MDD). Six-week treatment of 2-mA anodal left/cathodal right prefrontal tDCS (12 30-minute sessions: 10 consecutive sessions once daily from Monday to Friday plus 2 extra sessions every other week) and sertraline hydrochloride (50 mg/d). Use of tDCS only (but not sertraline only) was superior to placebo/sham tDCS. Common adverse effects did not differ between interventions, except for skin redness on the scalp in active tDCS (P = .03). There were 7 episodes of treatment-emergent mania or hypomania, 5 occurring in the combined treatment group. Conclusions and Relevance: In MDD, the combination of tDCS and sertraline increases the efficacy of each treatment. The efficacy and safety of tDCS and sertraline did not differ. Acute working memory improvement after tDCS in antidepressant-free patients with major depressive disorder. Oliveira JF, Zanão TA, Valiengo L, Lotufo PA, Benseñor IM, Fregni F, Brunoni AR. SOURCE:Neuroscience Letters. March 2013, 14:537:60-4. 28 age- and gender-matched, antidepressant-free depressed subjectsreceived a single-session of active/sham tDCS in a randomized, double-blind, parallel design. The anode was positioned over the left and the cathode over the right dorsolateral prefrontal cortex. The n-back task was used for assessing working memory and it was performed immediately before and 15min after tDCS onset. All effect sizes were large. In other words, one session of tDCS acutely enhanced WM in depressed subjects, suggesting that tDCS can improve "cold" (non affective-loaded) working memory processes in MDD. Transcranial direct current stimulation in treatment resistant depression: a randomized double-blind, placebo-controlled study. Palm U, Schiller C, Fintescu Z, Obermeier M, Keeser D, Reisinger E, Pogarell O, Nitsche MA, Möller HJ, Padberg F.
SOURCE:Brain Stimulation. July 2012, 5(3):242-51. 22 patients with a major depressive episodewere randomly assigned to a cross-over protocol comparing tDCS and placebo stimulation add-on to a stable antidepressant medication. Anodal tDCS, applied for 2 weeks, was not superior to placebo treatment in patients with treatment resistant depression. However, secondary outcome measures are pointing to a positive effect of tDCS on emotions. Therefore, modified and improved tDCS protocols should be carried out in controlled pilot trials to develop tDCS towards an efficacious antidepressant intervention in therapy-resistant depression. Bifrontal tDCS prevents implicit learning acquisition in antidepressant-free patients with major depressive disorder. Brunoni AR, Zanao TA, Ferrucci R, Priori A, Valiengo L, de Oliveira JF, Boggio PS, Lotufo PA, Benseñor IM, Fregni F.
SOURCE:Progress in Neuropsychopharmacology & Biological Psychiatry. June 2013, 43(3):146-50. The findings for implicit (procedural) learning impairment in major depression are mixed. We investigated this issue using transcranial direct current stimulation (tDCS), a method that non-invasively increases/decreases cortical activity. 28 age- and gender-matched, antidepressant-free depressed subjects received a single-session of active/sham tDCS. We used a bifrontal setup - anode and cathode over the left and the right dorsolateral prefrontal cortex (DLPFC), respectively. The probabilistic classification-learning (PCL) task was administered before and during tDCS. The percentage of correct responses improved during sham; although not during active tDCS. Procedural or implicit learning acquisition between tasks also occurred only for sham. We discuss whether DLPFC activation decreased activity in subcortical structures due to the depressive state. The deactivation of the right DLPFC by cathodal tDCS can also account for our results. To conclude, active bifrontal tDCS prevented implicit learning in depressive patients. Further studies with different tDCS montages and in other samples are necessary. SOURCE:Biological Psychiatry. April 2013, 73(7):646-51. Deficient cognitive control over emotional distraction is a central characteristic of major depressive disorder (MDD). Hypoactivation of the dorsolateral prefrontal cortex (dlPFC) has been linked with this deficit. In this study, we aimed to enhance the activity of the dlPFC in MDD patients tDCS and thus ameliorate cognitive control. In a double-blinded, balanced, randomized, sham-controlled crossover trial, we determined the effect of a single-session tDCS to the left dlPFC on the cognitive control in 22 MDD patients and 22 healthy control subjects. To assess the cognitive control, we used a delayed response working memory task with pictures of varying content (emotional vs. neutral) presented during the delay period. Emotional pictures presented during the delay period impaired accuracy and response time of patients with MDD, indicating an attentional bias for emotional stimuli. Anodal tDCS to the dlPFC was associated with an enhanced working memory performance both in patients and control subjects. Specifically in subjects with MDD, the attentional bias was completely abolished by anodal tDCS. The present study demonstrates that anodal tDCS applied to the left dlPFC improves deficient cognitive control in MDD. Based on these data, tDCS might be suitable to support the effects of behavioral training to enhance cognitive control in MDD. Continuation transcranial direct current stimulation for the prevention of relapse in major depression. Martin DM, Alonzo A, Ho KA, Player M, Mitchell PB, Sachdev P, Loo CK. SOURCE:Journal of Affective Disorders. January 2013, 144(3):274-8. Transcranial direct current stimulation (tDCS) is gaining attention as an effective new treatment for major depression. Little is known, however, of the duration of antidepressant effects following acute treatment. In this study, we describe the use of continuation tDCS treatment for up to 6 months following clinical response to an acute treatment course. 26 participants pooled from two different studies involving different tDCS protocols received continuation tDCS treatment on a weekly basis for 3 months and then once per fortnight for the final 3 months. Mood ratings were completed at 3 and 6 months. Analyses examined clinical predictors of relapse during continuation tDCS treatment. The cumulative probability of surviving without relapse was 83.7% at 3 months and 51.1% at 6 months. Medication resistance was found to be a predictor of relapse during continuation tDCS.This was an open label prospective study with no control group. Two different forms of tDCS were used. Similar to other antidepressant treatments, continuation tDCS appears to be a useful strategy to prevent relapse following clinical response. These preliminary data suggest that the majority of patients maintained antidepressant benefit with a continuation schedule of at least weekly treatment. Future controlled studies are required to confirm these findings. SOURCE:Journal of Affective Disorders, August 2013, 150(1): 91-95. There is growing evidence that tDCS may be an effective treatment for depression. However, no study to date has profiled the antidepressant effects of tDCS using items or factors on depression symptom severity rating scales.Participants in the active tDCS treatment group showed significant improvement in dysphoria while participants in the sham treatment group did not. While both groups showed improvement in retardation symptoms, improvement was significantly greater in the active tDCS group. Could Transcranial Direct Current Stimulation Have Unexpected Additional Benefits in the Treatment of Depressed Patients? The application of novel brain stimulation techniques to treat depression, and possibly other neuropsychiatric disorders, is a new and rapidly growing field. Among these techniques, transcranial direct current stimulation (tDCS) is emerging as one of the most promising approaches because of its relative ease of use, safety and neurobiological effects. One of the most promising therapeutic applications of tDCS has been in the treatment of depression. A recent meta-analysis suggested that tDCS may have robust and clinically meaningful effects in treating depression (see below). This group recently published the largest and most definitive sham-controlled trial of tDCS in depression (see above). Active stimulation was more effective than sham stimulation, and 48% of subjects who received 30 treatments of tDCS (given every weekday over a period of 6 weeks) responded to treatment. In the course of conducting this trial, it has been observed that tDCS may induce additional benefits that appeared to be independent of mood improvement. These observations are consistent with reports in the literature of cognitive enhancement and pain relief with tDCS. Anodal stimulation of the left dorsolateral prefrontal cortex (the same region stimulated for the treatment of depression) has been shown to enhance task performance across a number of 'executive' cognitive tasks, tapping higher-level cognitive functions, such as working memory, verbal fluency and planning. Transcranial direct current stimulation in the treatment of major depression: a meta-analysis. Kalu UG, Sexton CE, Loo CK, Ebmeier KP. SOURCE:Psychological Medicine. September 2012, 42(9):1791-800. Medline and Embase were searched for open-label and randomized controlled trials of tDCS in depression using the expressions ('transcranial direct current stimulation' or 'tDCS') and ('depression' or 'depressed'). Study data were extracted with a standardized data sheet. A total of 108 citations were screened and 10 studies included in the systematic review. Six randomized controlled trials were included in the meta-analysis, with a cumulative sample of 96 active and 80 sham tDCS courses. Active tDCS was found to be more effective than sham tDCS for the reduction of depression severity (Hedges' g=0.743, 95% confidence interval 0.21-1.27), although study results differed more than expected by chance (Q=15.52, df=6, p=0.017, I2=61.35). Our study was limited by the small number of studies included, which often had small sample size. Future studies should use larger, if possible representative, health service patient samples, and optimized protocols to evaluate the efficacy of tDCS in the treatment of depression further. Edmonton Neurotherapy. Dr. Horst H. Mueller, RPsych, CRHSP, BCN, ICPP. Information contained on this website is intended for educational and informational purposes only and does not constitute medical advice or diagnosis. Nothing on this site is intended nor should be taken as a substitute for the advice provided by your physician or other qualified healthcare professional. You should not use the information on this website for self-diagnosing orself- treating any health problem or disease, or self-prescribing any medication or other treatment.